Once again, DaPoPo Theatre returns with its unique blend of ordered chaos with what is now a Mayworks staple hit – the Cafe DaPoPo! This year’s cast features an exciting array of new faces and the performance menu boasts, of course, a blend of new and favourite political entertainment. Order to your taste, and experience songs, monologues, scenes and other pieces of performance art right at your table at this popular theatrical event. Make sure to order your ticket in advance and join the fun with friends at Bearly’s House of Blues and Ribs. Yum! 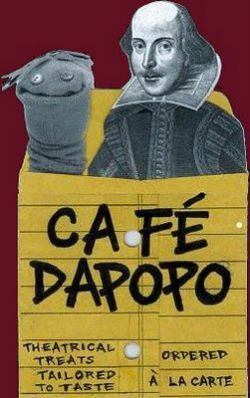 Cafe DaPoPo. Expect the unexpected.